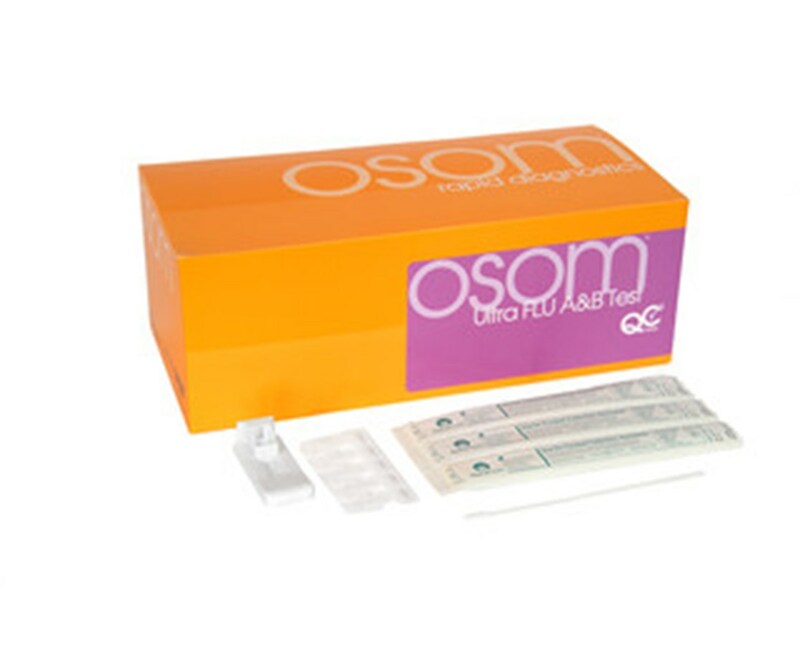 The Sekisui Diagnostics OSOM Ultra Flu A & B Test is an in vitro rapid qualitative test that rapidly detects influenza type A and type B nucleoprotein antigens directly from nasal swab, nasopharyngeal swab, and nasopharyngeal aspirate/wash specimens obtained from patients with signs and symptoms of respiratory infection. It is intended to aid in the rapid differential diagnosis of influenza A and B viral infections. Provides fast and accurate results in 10 minutes. Cleared for use with multiple viral transport media types. Shelf life is 12-15 months. Please click add to cart to order today.